This is the first kindle world novella I have read and it was really good different to what I normally read but a quick and thoroughly enjoyable read, this one will pull you in and have your turning the pages. Lexie Nevue Likes to keep to herself and hide away she is gifted with a couple of abilities that her mother has drilled into her since childhood that are bad and that she is evil, but when she meets gorgeous air force hero Bryant she falls for him but one of her abilities causes series problems and she takes of hiding, she has a hard time controlling her emotions and her abilities. But Lexie is in danger and she calls to Bryant unknowingly. Bryant Quill has never forgotten the woman he loves one night with her had left him in hospital and Lexie gone when he got out, and with a new job five years on he is still searching for her. 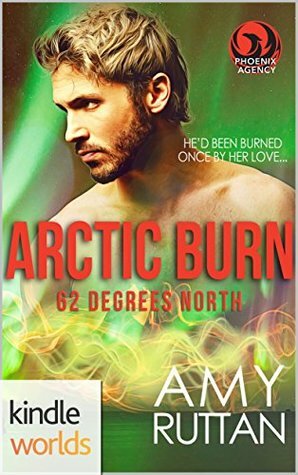 He finds her in Canada and in danger, and that spark is stronger than ever and he will do what he can to help her gain control and save her life.